Friday July 16, 2010--KMOX radio personality John Carney doesn't own a motorcycle but he lusts for a Harley-Davidson. 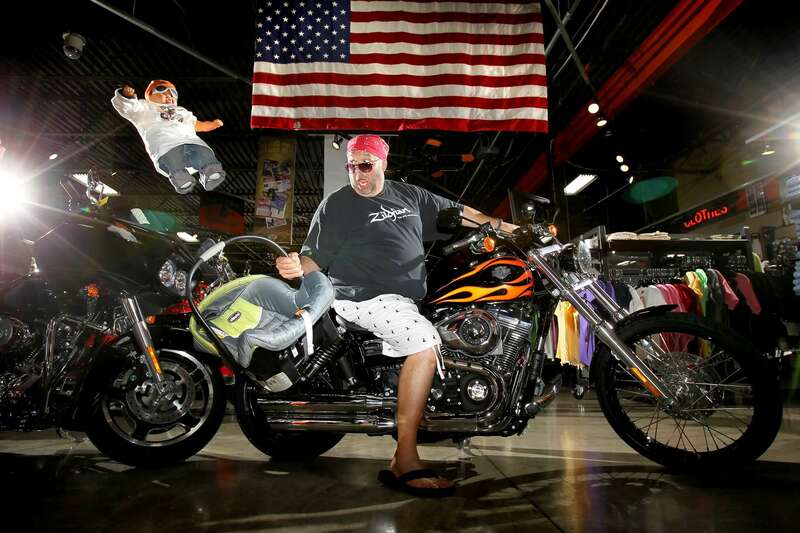 The father of four, including two young children, doesn't believe a Harley could accomodate a child seat. For this picture Carney climbed on a 2010 Dyna Wide Glide at Doc's Harley-Davidson in Kirkwood.